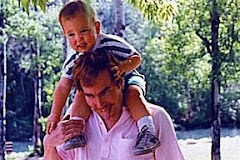 Wredheaded Writer: Tip O'Day #348 - You Want Me To WHAT!?? Tip O'Day #348 - You Want Me To WHAT!?? Guest blogger Lisa Alford on The Art (?) Of Book Reviews. HI Everyone! I want to first thank Dixon for asking me to guest on his blog. THANKS DIX. Okay, off to the races! Now, how I go about writing my reviews… Let me tell ya it’s not always easy. I get tons and tons of books to review and the first thing I have to do is weed my way through them and look for something that is not only reader worthy, but also interesting to ME. Seriously guys… I REFUSE to read something that is not of interest to me. I dunno how other reviewers go about it but my idea is if it isn’t of interest to me, I don’t think I can seriously give it a good review. Let’s look at you guys on a whole... you are all friends and fans of Dixon, right? Of COURSE you are. Otherwise why would you be here listening to me drone on and on? So knowing you are fans of Dixon, lemme say right out that I haven’t known Dix for long; Isn’t it COOL that he lets me call him Dix? I am SO happy that he sent me a PM asking if I wanted to do a guest blog for him. He has allowed me to meet you guys, a new group of readers and hopefully new friends. For that I will ever be grateful. SNUGS DIX! Okay, let me say, I do NOT like to do 1 or 2 star reviews… I just DON’T. So you probably won’t ever see one of those from me. If I read a book that I seriously do not like, I just WON’T review it. I don’t know if that makes me a good or bad person… what do you guys think? I honestly want to know… In comments, please let me know your opinion of book reviews. So anyways, after I have read a book, a few things go through my mind. WHY I liked the book, what made it good, what made it bad, what made me WANT to continue to read it past the first few pages… once I have all that in my head I have to figure out HOW I want to write it. This part is for those of you who may want to do reviews in the future. One of my biggest points is... DO NOT read reviews. I don’t care if it is on Facebook, Amazon, or any other review. DON’T, DON’T, DON’T read them. WHY? ‘Cause if you get into the habit of reading other peoples reviews, there is a good chance that you will inadvertently start to COPY, without even realizing it, some of the reviews you have read. I made that mistake with the first review I did. It took me ages to get those other reviews out of my head and do some real justice to the book I was reviewing. I totally had to purge myself of the info that I had gotten from Amazon reviews... Let me tell you, it’s not an easy thing to forget what you have read, and to put things in your own words. Okay, so I have decided on my review and I have the words I need for it. I have typed up my review and it is ready to be posted… NO! See you guys, THIS is where folks don’t GET it. A lot of folks think doing book reviews is way easy… In addition to book reviews, I am also a social media coach. That means that I have clients that depend on me to teach them how to shine in social media, how to promote themselves, etc. When you write a book review, if you want to actually let folks know EVERYTHING there is to know about your review, you MUST remember to add LINKS to your review. YUP it is a pain in the patootie, but it is what it is. The final part of writing a review is making sure that people are able to check out the authors FB page, Amazon site, and FB Fan page if they have one. Not to toot our own horns, but as a reviewer you want to have a link to your FB or blog as well. So basically that is my way of writing reviews. I am sure I didn’t cover everything, as I rarely do, LOL. PLEASE, I welcome any questions about my review process. It is a bit unorthodox and I get it, if it seems strange to you guys… that’s just my way. I tend to be amusing and sometimes a bit cynical but folks STILL seem to like me LOL! OMG! 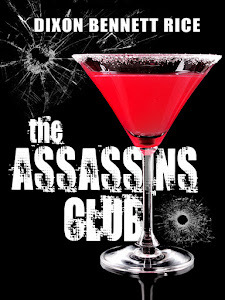 How could I NOT have mentioned that I reviewed Dixon’s novel, The Assassins Club. This will give you an idea of how I review! One last thing… When writing book reviews, you must be sure to share and tweet or no one will see your review. Dixon is an up and coming artist and I look forward to his work! Dixon says: A prolific reviewer, Lisa has a unique, genuine, breathless, enthusiastic voice. She’s not afraid to be controversial. Most of all, she’s learned that reviews should be not only informative, but also entertaining. And she likes my writing. Lisa is truly a delight. Take the good with bad. I really enjoyed this Lisa. I to, really do not like leaving a bad review. But sometimes they are helpfull when they are in the right context. I'll give you an example, my wife is a struggling author, but then again every author is a struggling one. Even the great writers, between the never ending promoting of there work.. I don't think that Ann Rice or Dean Koots ever stop writing unless they are promoting. (I hope not.) But it was not until my wife got some "very hard" critism that she started to write differently. Well not differently, but she started keeping to the same style with each character. The "greats" say to ignor critism because it will only get you down and distract you. But I think that being able to turn harsh critism into constructive critism is another must for any writer.